Pure aluminium is a silvery-white metal with a density of approximately one-third that of ferrous alloys, copper or brass. It is an excellent conductor of heat and electricity, and is also highly reflective to radiant energy. It exhibits excellent corrosion resistance in most environments. It is non-toxic,non-ferromagnetic and also has non-sparking characteristics. 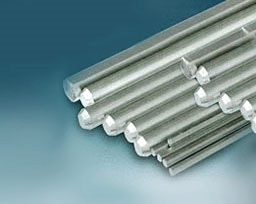 Aluminium is a soft metal with a low tensile strength in the annealed condition. However, by alloying, cold working of heat treatment, it can be stronger and harder. Click here to view Chemical Composition of Aluminium and Aluminium Alloy.